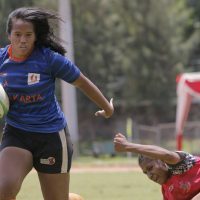 As a relatively new sport in Indonesia, the continued addition of new players is essential for the growth and popularity of Rugby in the country. For those who have had the privilege of playing, nothing beats the unique dynamics of the Game. It’s uber-fun and extremely addictive. But for those who have never tried, where does one begin? This very challenge gave birth to the Get Into Rugby program from World Rugby. 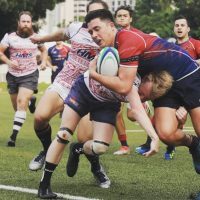 At the outset it was initiated to increase Rugby awareness and the number of players as Rugby 7s made its way back into the 2016 Rio de Janeiro Olympics as well as in anticipation of the Rugby World Cup to be held in Japan from September to November of 2019. Not only players, it is hoped that through Get Into Rugby, the number of coaches, referees and match officials will also be increased. 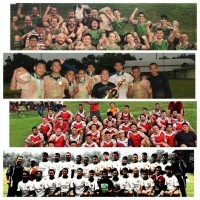 Get Into Rugby itself is divided into three phases which are TRY, PLAY and STAY. At the TRY phase, participants are introduced to the principles of Rugby, its agility, passing, catching and teamwork. Also very important is the introduction of the core Rugby Values of Integrity, Passion, Solidarity, Discipline and Respect. 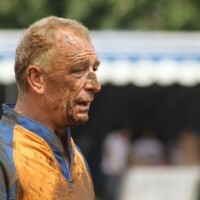 At the PLAY phase, the skills of the Rugby player is further developed through playing so that everyone can experience the unique traits of playing Rugby. At the STAY phase, Rugby becomes a beneficial part of life that focuses on fitness, camaraderie and fun for all those involved. 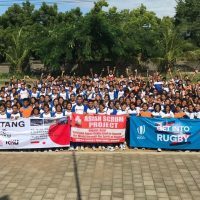 Indonesia recorded a very productive year in 2018 with 18,961 participants in its Get Into Rugby program. 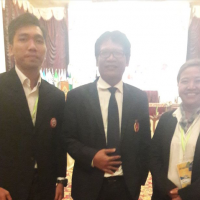 Bali contributed 5,234 girls and boys with Special Region of Yogyakarta coming in next with 4,791 and DKI Jakarta following with a total of 3,209 participants. The number is rounded up by the provinces of South Kalimantan, East Java, Banten, West Java and South Sumatera respectively. Another happy note is the high level of girls’ participation which reached 8,624 participants of 45.5%! This number clearly shows the enthusiasm that Rugby attracts for people of all ages and regardless of gender. Indonesia contributed its Get Into Rugby numbers so that Asia Rugby became the world’s number one contributor to the program with 844,100 particpants throughout 2018, equivalent to 42% of the world total! In this, the beginning of 2019, we invite Physical Education teachers, students of all levels and anyone interested in Rugby to contact PB PRUI through its website at www.rugbyindonesia.or.id if you would like us to introduce the wonderful game of Rugby to your school, campus or organization!